China is a massive country, so it goes without saying that the weather heavily depends on the region you're visiting. For example, unless you are spending January in the south, like on the beach in Hainan, you're going to need to pack that winter jacket. But January is not all bad. In fact, it is a really nice time to see China. It's actually a dry cold across the northern part of China that does allow you to get out and do things, as long as you are well bundled up. Across central China, the weather is a little more uncomfortable because it is damp as well as cold. And homes and buildings are not as well-insulated like in the West. So you'll definitely feel the cold a lot more when you're visiting central China. But in the south, it's actually not too bad. Of course, you will have cooler temperatures, but it can be quite comfortable for walking and sightseeing. Beijing: The average daytime temp is 35 F (1 C) and average number of rainy days is two. Shanghai: The average daytime temp is 46 F (8 C) and average number of rainy days is nine. Guangzhou: The average daytime temp is 65 F (18 C) and average number of rainy days is eight. Guilin: The average daytime temp is 53 F (12 C) and average number of rainy days is 14. Layers are essential for winter. Be sure to check the regional weather in China and the complete packing guide to China for more. North: It will be cold during the day and below freezing at night. You'll probably be thankful if you bring along long underwear, a fleece, and a windproof or down jacket. Pack gloves, hats, and scarves as well. Central: It will be quite chilly during the day and cooler at night, but rarely freezing. A heavy base layer (e.g. jeans, boots, and sweaters) along with a rain/wind-proof jacket will be enough. If you're easily cold, a down jacket might be better. South: It will be cool. Long sleeves and pants, as well as a rain/wind-proof jacket are essential. Dry weather in Beijing and the rest of northern China makes for cold, but almost-guaranteed dry, sightseeing. Just make sure you've got plenty of layers and that you are bundled up. 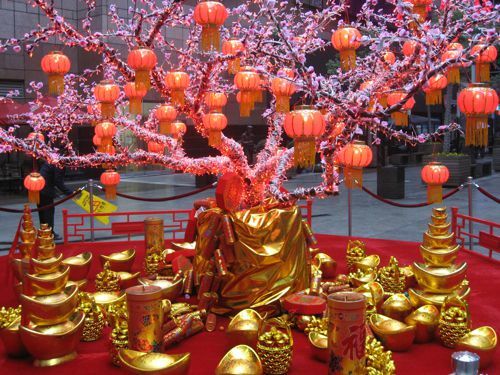 Chinese New Year typically lands at the end of January or early February. This can make travel around China a little more expensive. Book ahead flights, hotels, and tours in advance, or plan your trip on a different week in January to avoid the crowd of students and workers off for the holiday. If you're visiting in January, then unless you spend the whole time in the very far south of China, you're going to experience the misery of the cold Chinese winters.